I absolutely love to save money while providing my family with quality food and other groceries. I used to coupon a ton but I barely do it anymore because I feel like my time is better spent elsewhere such as with my daughter and husband, blogging or taking care of my home. 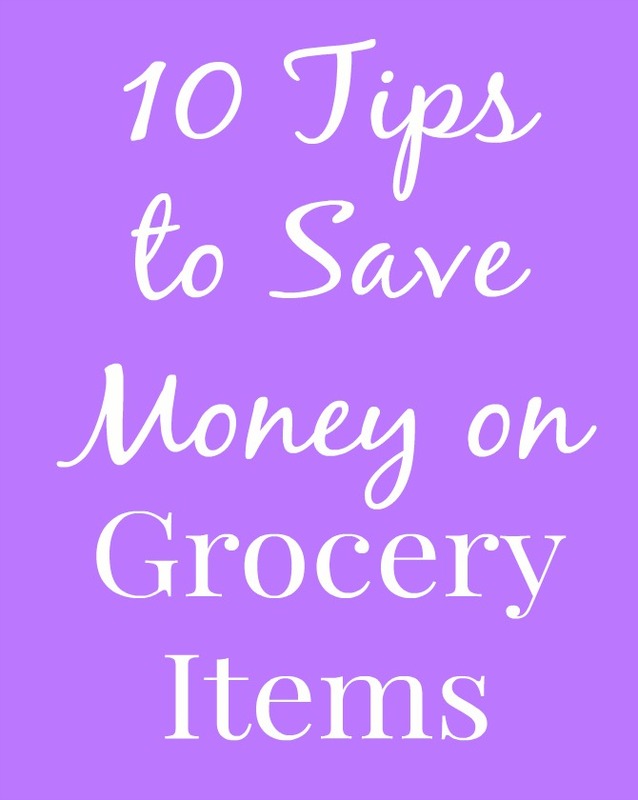 Instead, I have found a bunch of other ways to keep our grocery bill low and still have money in my budget for fun foods such as cashew butter and mango fruit roll-ups. We buy our toiletries on sale always. We are not brand specific to deodorant, shampoo, face wash, toothpaste, etc. so when an item we need goes on sale, we do not have an issue using that brand. We often buy toilet paper in quantity. We rarely use paper towel and use reusable kitchen towels instead. We like the Hefty Ultra Strong trash bags best because they are affordable and do not break. There is nothing worse than your garbage bags breaking when you have super junky ones- trust me, this has happened. These are less than $0.20 per bag which is a good deal, less if you find a sale. They now cost less than they used to as well! You can buy these at Walmart and Target. They are scented which helps keep smells away. They also have active tear resistant technology for better puncture resistance. Check out this IBOTTA deal to save money. Earn $1.00 cash back via Ibotta after purchasing one box of Hefty trash bags. My dad recently went to my favorite grocery store and texted me a picture of cashew butter that was greatly reduced from $5.99 to $0.50. Umm, that is 92% off! 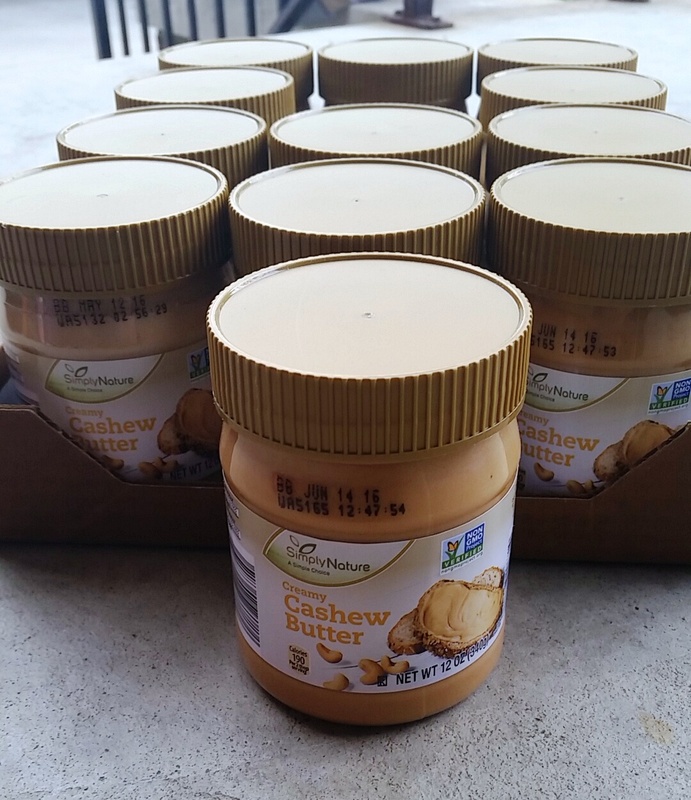 Since I love cashew butter and it was an insane deal, I had my dad get me 12 of them. Yes, I am a little crazy but I know that we will use it. I have no issues with store brands of products. On my first blog trip back in 2011 to Musselman's applesauce, I learned that most store brand products are actually made by the name brand- meaning it is the same product or at least very similar and made by the same machines and everything in the same factory. Crazy! Most store brand products taste exactly the same as the name brand and is often less money. I shop at a local produce store in Metro Detroit called Joe Randazzo's that is so inexpensive compared to anything else. The quality might be slightly less but is usually perfect for me. Also, I am obsessed with shopping at ALDI to save money and they have really great products. Like I said, I do not coupon as much anymore but there are some products that my favorite ALDI and produce stores do not have. For example, I like name brand Greek yogurts so when they are on sale, I will print out some coupons for them to make my yogurt really cheap. Did you know that you can use a coupon on clearance items as well to save even more? These items are often inexpensive year round! Plus, they are good for you. Often, buying a bigger container of something is cheaper than a smaller container. Many stores list the price per ounce which I love to see which is cheaper. In the summer, we like to plant a garden including tomatoes, peppers and lettuce. My parent's farm has a bunch of fresh produce as well including sour cherries, peaches, pears and apples. It is often cheaper to grow your own produce than to buy it, especially if you grow tons of tomatoes like we do. My friend Ashleigh from Dash of Evans gave me the best tip. To save time and money, you can cook big batches of food and then freeze it for later. I do this with rice, beans and wheatberries which all take a long time to cook. Cooking a large batch of them doesn't really take any extra time and then on a busy day, I just defrost that food quickly instead of cooking it all at once. If you come across a great deal and buy more than you can use before it goes bad, you can always freeze it. I recently got a bunch of baby kale for super cheap and cooked it and then froze it for later. This way, I save money by getting a great deal and by not wasting the food that I bought. Love the tips. Thanks for the shoutout girl! I still am hoping to find that cashew butter one day at Aldi! No problem! You inspire me!